Example of an Old English style of architecture on Groton Bank. 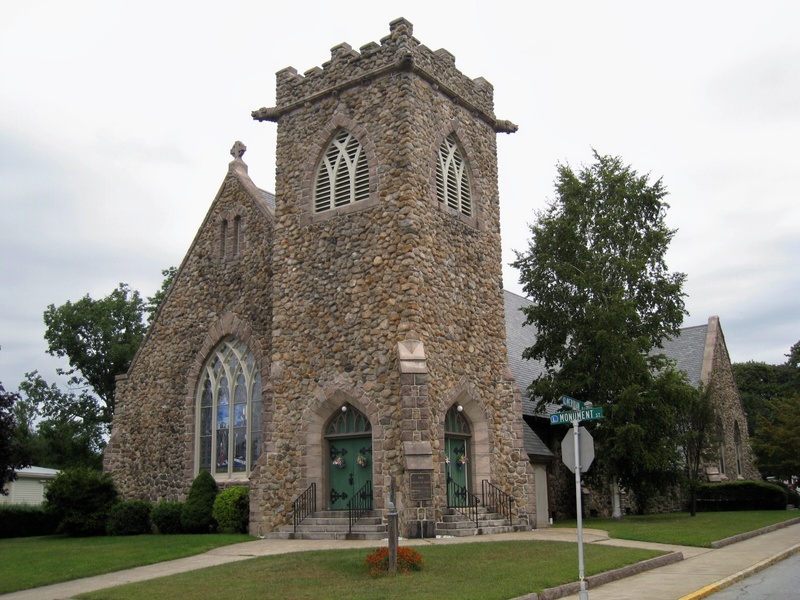 This stone church is the congregation's fourth meeting house, the church having been founded in 1702, three years before Groton became a town separate from New London. Members over the past three centuries have included most defenders of Fort Griswold, many sea captains and numerous Groton community leaders. Six major contributors giving $1,000 each about 1902 help make this fine structure possible. They were members Capt. Jason L. Randall, Thomas Avery Miner, William H. Miner and Frederic Bill; and philantropists John D. Rockefeller, who mother was descended from the Groton Averys; and New York City philanthropist Morton F. Plant who also had a summer mansion on the Groton shoreline.